10 April 2019 walk in Springside Nature Reserve: It was a lovely sunny and warm autumn morning, although still wet underfoot from the rain of the previous weekend. Derek Spencer led the group assisted by the experienced birders present. 53 species were identified. 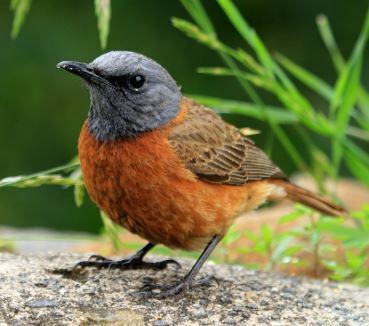 Birds seen: African Crowned Eagle, Black Sparrowhawk, African Hoopoe, White-eared Barbet, Fiscal Flycatcher, Violet-backed Starling, Holub`s Golden Weaver and after a long absence, the Cape Rock Thrush. Birds heard: Lemon Dove, Olive Woodpecker, Little Rush Warbler, Cape Grassbird, Blue-mantled Crested Flycatcher. On the birding side many thanks to Derek and the other birders, and on the catering front grateful thanks to Carolyn Victor. Hillcrest Conservancy appreciates the donations received towards on-going projects.